This is the kind of screen that you would see if their web host was having issues, or worse, they were hacked. 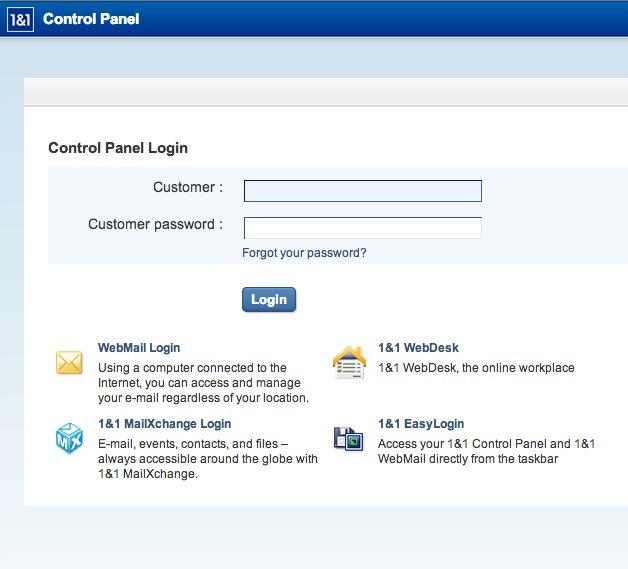 Yes, I can login, however why is the main web site at www.1and1.com down this afternoon? All of the web sites that I have hosted at 1and1 are all up and running without issue. When I filled out a Support request on their web site it was about 10 minutes later that I got a reply e-mail asking me, “Which browser are you using?” I replied that it was Google Chrome on a Mac. Next, I tried out four other browsers and they all worked OK (Firefox on Mac, Safari on Mac, IE on Windows, Firefox on Windows). 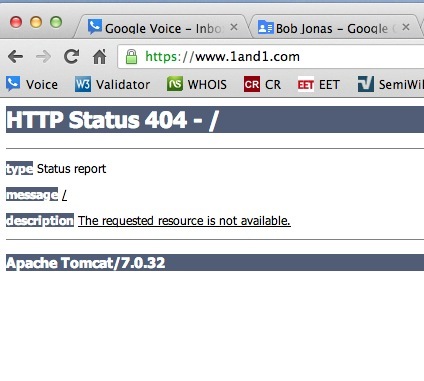 Hmm, sounds like a browser issue and not a web hosting issue. I then went into the settings on Google Chrome on my Mac and cleared the cache, sure enough I can now browse 1and1 OK, it was a browser bug and not a 1and1 issue. You see, even an expert like me can mis-diagnose a tech issue. Very interesting. I’ve been with 1and1 for some time, but my service seems to be not reliable at all. Customer service is also so-so.